On February 11th winter’s chill may have been all around us, but we were warmed up with a “good- for your- heart and soul” menu today at the Demonstration Garden. 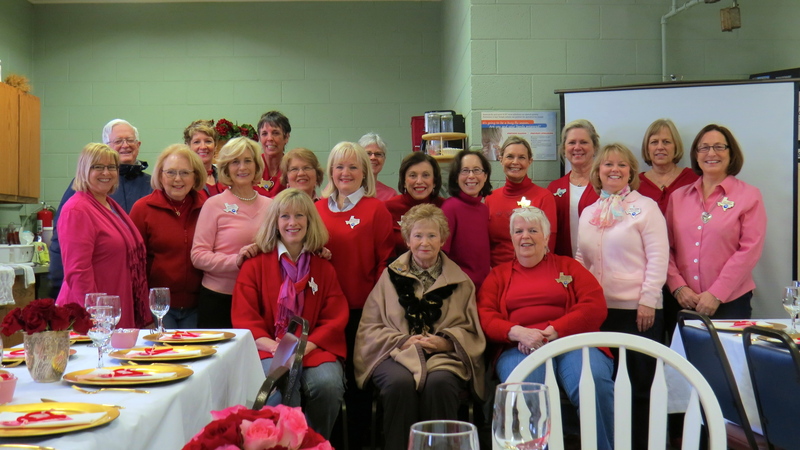 Our very capable group of volunteers prepared and served this lovely menu for the “Hearts and Roses” Luncheon. As we reminisced about childhood memories, comfort food in all its glory transported each of us to a happy place. It was a delightful gathering. Baby, when it’s cold outside – get in the kitchen and start cooking! 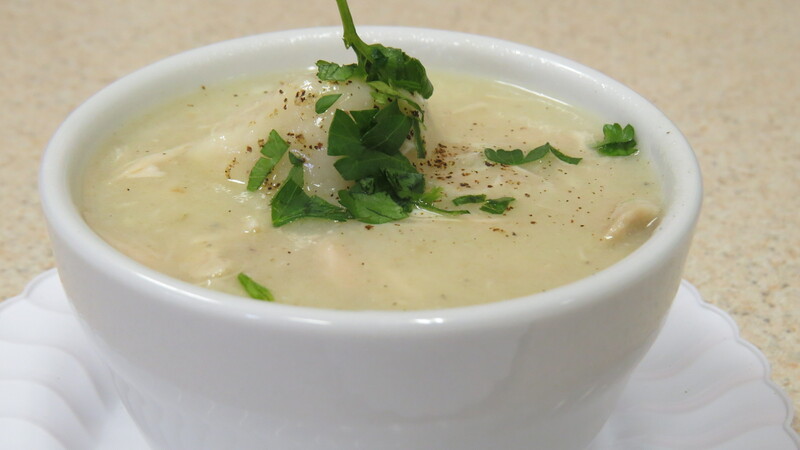 Sometimes referred to as “country dumplings”, a bowl of this warms both tummy and soul. 1. Place chicken in a Dutch oven; add water, celery and 1 teaspoon salt. Bring to boil; cover, reduce heat, and simmer 1 hour or until tender. Remove chicken from broth, and cool. Discard celery. 2. Bone chicken, and cut meat into bite-size pieces; set aside. 3. Bring broth to a boil; add butter and pepper. 4. Combine flour, baking powder and ½ teaspoon salt; cut in butter until mixture resembles coarse meal. Add buttermilk, stirring with a fork until dry ingredients are moistened. Turn dough out onto a well-floured surface, and knead lightly 4 or 5 times. occasionally. Stir in chicken and serve. Tomorrow the remainder of the Hearts and Roses Luncheon Recipes will be launched. Check back with us tomorrow. Posted in Recipe and tagged garden recipe. Bookmark the permalink. I suspect we could share a lot of information about roses.